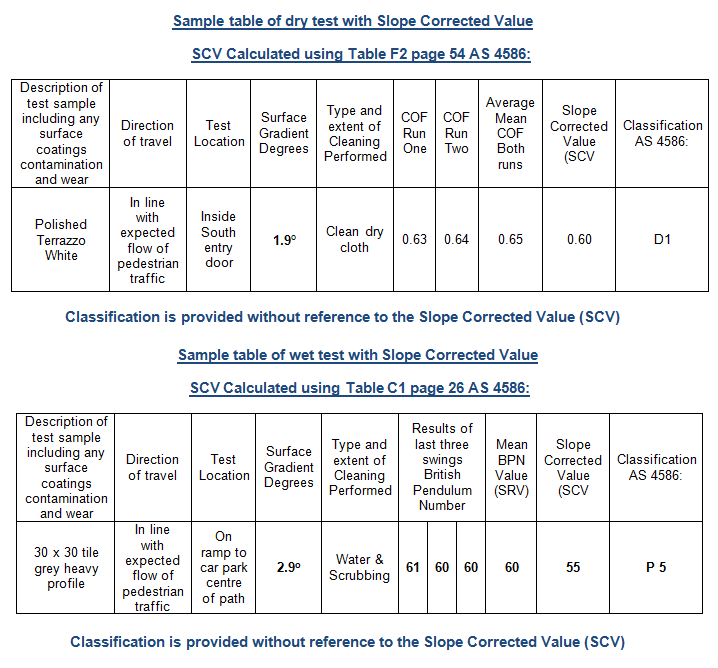 As of the 29th of June 2013, the Australian Standards AS 4586: (New Surfaces) and AS 4663: (Existing Surfaces), have been reviewed and updated with changes affecting the reporting of results with regards to measured slopes of the test sites both wet and dry. Sliptest Australia Pty Ltd have obtained accreditation under these new standards, which ensures our reporting is in line with the latest requirements. An example of both possible test sites is provided as below in a modified test report format. Using the Slope Correction formulas provided in the new standards.